Hari's assistant Prashanth G Sekar clapped the board for Manorama for one last time. 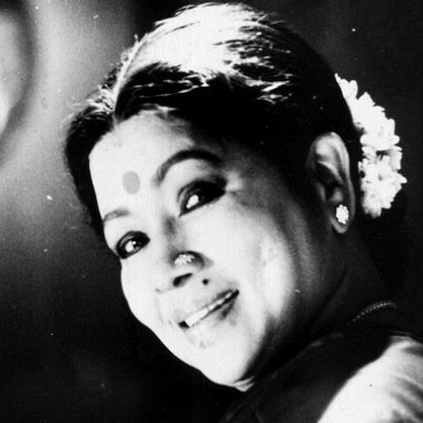 WHO CLAPPED FOR MANORAMA FOR ONE LAST TIME? For the number of films the actress associated herself with, director Hari takes all the pride for having called the shots one last time for the departed legendary actress Manaroma, in the film Singam 2. In the role of a sorted Grandmother, Aachi played a very cute character responding in a supporting manner to her off-springs. An interesting trivia about Aachi and Singam 2 follows. 'She is gone and I'm yet to accept the reality. With so many other artists on set, she would be this really caring, fun loving person to everybody, irrespective of their importance on the shooting floor. I take this as a gift from God to have clapped for Manorama for one last time. An unbearable loss that will take forever to recover'. It’s Poochi Appan for Dhanush! SS Rajamouli and Vadivelu share the same date! Veteran Actress Manorama Reaches The Heavenly Abode! Manorama Is Deepika Padukone's Aunt! Suriya's Anjaan On The Lines Of Jigarthanda And Singam 2 ? Director Hari Has Signed Vishal For His Next Film After Singam 2. People looking for online information on Hari, Manorama, Prashanth G Sekar, RIP Manorama, Singam 2, Yaanum Theeyavan will find this news story useful.